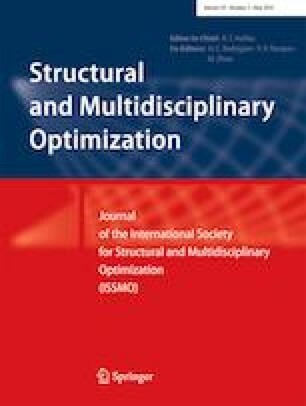 In recent years, the importance of computationally efficient surrogate models has been emphasized as the use of high-fidelity simulation models increases. However, high-dimensional models require a lot of samples for surrogate modeling. To reduce the computational burden in the surrogate modeling, we propose an integrated algorithm that incorporates accurate variable selection and surrogate modeling. One of the main strengths of the proposed method is that it requires less number of samples compared with conventional surrogate modeling methods by excluding dispensable variables while maintaining model accuracy. In the proposed method, the importance of selected variables is evaluated using the quality of the model approximated with the selected variables only. Nonparametric probabilistic regression is adopted as the modeling method to deal with inaccuracy caused by using selected variables during modeling. In particular, Gaussian process regression (GPR) is utilized for the modeling because it is suitable for exploiting its model performance indices in the variable selection criterion. Outstanding variables that result in distinctly superior model performance are finally selected as essential variables. The proposed algorithm utilizes a conservative selection criterion and appropriate sequential sampling to prevent incorrect variable selection and sample overuse. Performance of the proposed algorithm is verified with two test problems with challenging properties such as high dimension, nonlinearity, and the existence of interaction terms. A numerical study shows that the proposed algorithm is more effective as the fraction of dispensable variables is high. This research was supported by the development of thermoelectric power generation system and business model utilizing non-use heat of industry funded by the Korea Institute of Energy Technology Evaluation and Planning (KETEP) and the Ministry of Trade, Industry and Energy (MOTIE) of the Republic of Korea (No.20172010000830).